A rural town in the upper Calderdale Valley can now benefit from superfast, fibre broadband speeds thanks to Superfast West Yorkshire. Eighteen fibre cabinets have now been installed in the picturesque town of Sowerby Bridge enabling around 5,500 homes and business to access the new technology. Further upgrades will follow in the coming months benefitting a further 980 premises. The arrival of faster broadband brings many benefits to the community. With faster upload and downloads speeds, it makes having the whole household online, staying connected, shopping, paying bills and streaming TV even easier. Businesses can benefit too – whether it is the security of having reliable internet to work from home or the ability to compete in a global marketplace. On average, Sowerby Bridge customers could see speed increases of between 26 to 32 mbps with a fibre connection when compared to standard broadband, although these speeds will vary for each individual property. The town is the latest in a number of areas to be upgraded to superfast broadband as part of the multi million pound project rolling out across West Yorkshire. Calderdale Council’s Cabinet Member for Economy, Cllr Peter Caffrey, said: “The installation of superfast broadband in Sowerby Bridge will bring real benefits to the area. 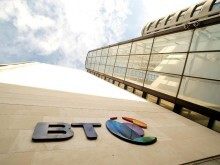 Tom Keeney, BT’s regional director for Yorkshire and Humber, said: “Engineers have worked hard to connect up the town – often working by floodlight overnight to avoid traffic disruption. Sowerby Bridge is one of a number of areas which previously had been beyond the reach of fibre broadband but is now connected thanks to Superfast West Yorkshire. The Superfast West Yorkshire project has already passed the half way mark with over 40,000 properties and businesses passed to date. The project is due to complete by the end of September 2015.